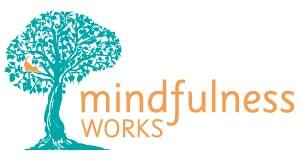 Mindfulness Works is looking for suitably qualified trainers to join the Mindfulness Works team as independent contractors, offering Mindfulness Works classes. Mindfulness is gaining in popularity as a highly effective way to reduce stress, anxiety and depression as well as increase self-awareness and well-being. Mindfulness Works is having considerable success in New Zealand offering low cost, non-religious and highly accessible introductory mindfulness classes. We are now looking for further suitable applicants who would like to be considered to provide these classes on a contractual basis. To facilitate 4 x 1 hour evening introductory mindfulness courses. Contract based. You would be paid per course run. Mindfulness is a specific modality that assists with reducing anxiety, depression, stress and increases self-awareness and well-being which is recommended by the NZ Mental Health Foundation. Mindfulness can be defined as ‘non-judgemental awareness’ or ‘present moment awareness’. There is a massive depth and 2,500 year history to mindfulness which originated in and has been developed in the Buddhist tradition. It is offered by many providers as a totally non-religious, highly practical and well-documented way to improve mental health, well-being and reduce anxiety. Mindfulness is not a philosophy. It cannot be learned from a book. There are specific mindfulness courses and retreats throughout New Zealand that allow you to discover experientially, what mindfulness is and how it may benefit you. Mindfulness is also not a technique or quick fix. It is an on-going process. As such anyone wishing to apply to be a trainer with Mindfulness Works must have in-depth, 5 years plus of formal mindfulness experience both in terms of attending courses, retreats as well as their own daily formal practise. A daily formal mindfulness meditation practise for at least 5 years. This means mindfulness meditation, not some other practise that is ‘the same as mindfulness’ . We provide training on the Mindfulness Works Introduction to Meditation course at no cost to you. You would be required to undertake 6 months supervision/mentoring paid for by yourself. This would be at about $100 per session (once per month). Want to know more or wish to apply? Please complete this form.